2014 JUNO Awards in Winnipeg! The 2014 JUNO Awards are in Winnipeg! Are you ready? Tegan and Sara’s pop makeover Heartthrob set the 43rd Juno Awards swooning, Arcade Fire made its presence felt from almost 10,000 kilometres away while decorated co-host Serena Ryder worked overtime to keep things smooth in the Prairies on Sunday night. The relationship between Bachman-Turner Overdrive’s four core members was once so frosty, the band couldn’t even agree long enough to be inducted into the Canadian Music Hall of Fame. 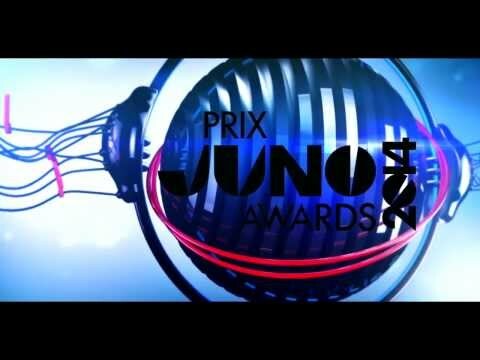 Join the Free Press during the Juno Awards on Sunday for red-carpet photos, backstage videos, and live coverage from Twitter. Montreal rockers Arcade Fire were among the early winners at a Juno Awards dinner gala where the bulk of the trophies were handed out on Saturday night. Five very different yet equally impressive artists popped up on the Juno radar last month and will shape the future of Aboriginal Juno history once again. The stage is almost set for the most important night in the Canadian music industry and co-hosts Serena Ryder and Johnny Reid say they’re ready. An online petition to get singer Robin Thicke removed from the Winnipeg Juno Awards show now has more than 800 names. WINNIPEG – Musicians Erin Propp and Larry Roy hope their Juno nomination for best vocal jazz album will introduce more people to their music. “We need to let more people know about that music that we're doing, about her singing and her voice,” Roy said. Juno Awards show sound familiar? Winnipeg hosts the Juno Awards this weekend, and preparations are in full swing for the big event. The Colorado Springs rockers join six-time Juno winners Arcade Fire and eight-time winner Sarah McLachlan as a trio of performers announced Thursday. OneRepublic will make their Juno Awards debut when they perform March 30 at MTS Centre.